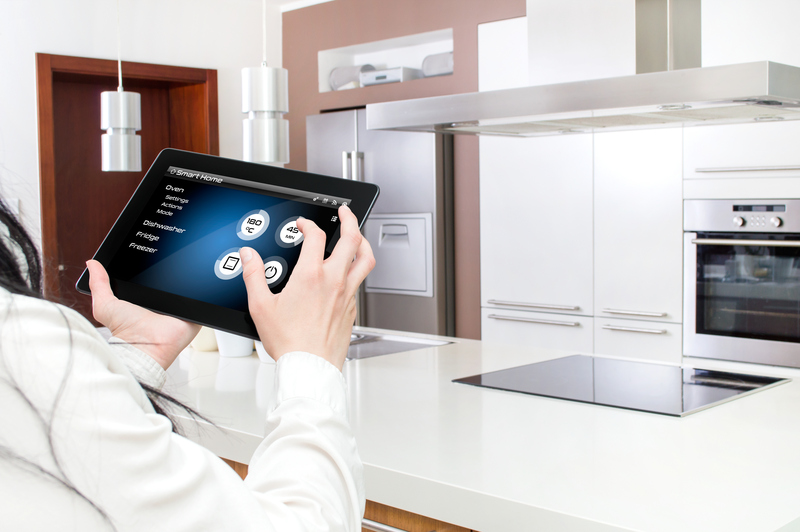 Homes that have a high degree of automation installations often have all their automated devices accessible on one device making it easy to control your home with just the touch of a button. You are probably using a number of automated devices in your home such as alarm systems, HVAC systems, audio systems and lights, shades and blinds. One of the best approaches to achieve a low cost and well integrated home environment is to focus on a system that centers on a single smart home controller. That is why we at AVGeeks recommend the following home automation devices for every home. When it comes to your family’s safety, reliability and a reputable name for home automation services stand out as the most important features. At AVGeeks, we offer home automation installation for the smoke and carbon monoxide detector which allows you to relax even when you are away because you will be alerted of any smoke even when you are away. At AVGeeks we do home automation installation services for programmable thermostats. With the built in capabilities of thermostats, it is now possible to boost the performance and energy efficiency of your home HVAC system. Automation services make it possible for you to adjust the temperatures in your home through sending a notification reminder to open your doors and windows if air outside is at a more comfortable temperature than that which is inside. Although this device has been neglected by home automation device developers, we at AVGeeks recommend it for all home owners. Our home automation services will ensure that you receive an alert, e-mail or text message if someone is pressing on your doorbell so that you can quickly view your front door security camera or turn your porch lights on. Our enhanced automated response include turning on an inside light to give an appearance that you are home or taking snapshot security camera images. Of all the home automation services that we provide in Ottawa, the security camera remains the most worthy home component with or without a complementary home automation system. With its weatherproof operation and internal video storage, home automation installation of the smart camera eliminates the need for expensive monthly service fees. There is also no need for you to have an outdoor power outlet because the camera allows for remote mounting of the units interface box. In our years of providing home automation services in Ottawa, we can confirm that door and window sensors rank up there with security cameras when people think of home automation installations for their homes. These sensors let your controller know when a window or door is open or closed so as to trigger actions, messages or alerts. Apart from the evident security benefits for intrusion detection, they can also allow you to quickly verify that all your windows and doors are closed. In the end, the decision to have home automation installations is your choice but we at AVGeeks recommend that every home owner should consider seeking home automation services to guarantee the safety of their homes.